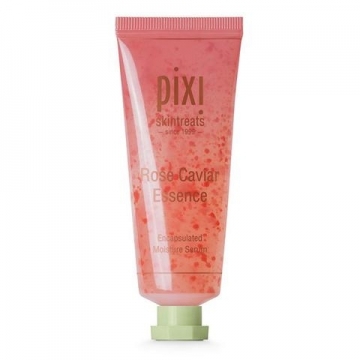 Discover Pixi's 3 easy steps to reveal your best skin. Kit contains: Deluxe travel sizes of Glow Mud Cleanser, Glow Tonic, Glow Mud Mask. Glow Mud Cleanser: This gentle yet active cleanser exfoliates to remove dead skin cells and reveal more radiant & healthy skin. 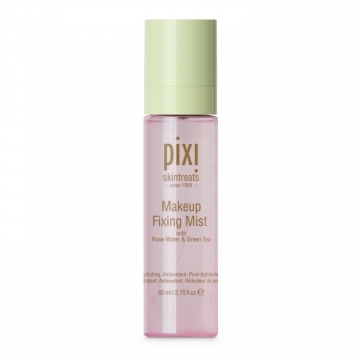 Detoxifies pores & deep cleans by drawing out impurities while providing essential nutrients to skin. 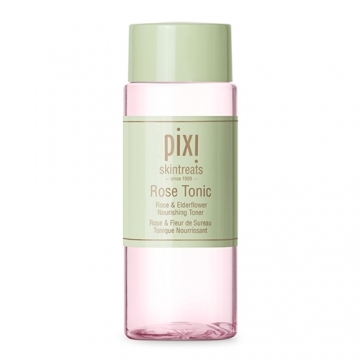 Glow Tonic: Exfoliating toner with 5% glycolic acid. Evens out skintone for a brighter, clearer, and smoother complexion. Clinically proven results. Alcohol free. 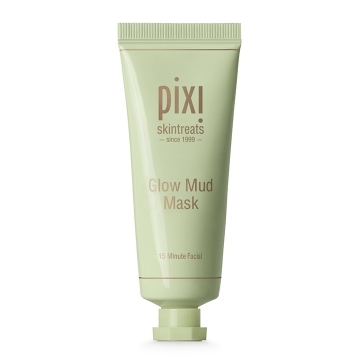 Glow Mud Mask: Deep pore clearing, glow-revealing treatment mask. Aloe vera, ginseng and mineral-rich mud combine to create the ultimate deep-pore cleansing & skin-energizing mask. Great for congested, dull and tired skin. Glow Mud Cleanser: Apply a small amount to damp skin. Massage gently for 30 seconds, avoiding eye area. Rinse clean & pat dry. Use AM & PM daily. Glow Tonic: Saturate a cotton pad with the tonic and sweep across face, neck, and décolletage after cleansing, avoiding eye area. Use AM and PM as needed. Glow Mud Cleanser Aloe Barbadensis Leaf Juice, Carthamus Tinctorius (Safflower) Seed Oil, Cetyl Alcohol, Glyceryl Stearate, Solum Diatomeae/Diatomaceous Earth/Terre de Diatomées, Glycerin, Disodium Lauroamphodiacetate, Glycolic Acid, Sodium Glycolate, Sodium Trideceth Sulfate, Squalane, Anthemis Nobilis Flower Extract, Persea Gratissima (Avocado) Oil, Saponaria Officinalis Extract, Triticum Vulgare (Wheat) Germ Oil, Corylus Americana Seed Oil, Sesamum Indicum (Sesame) Seed Oil, Phenoxyethanol, Caprylyl Glycol, Ethylhexylglycerin, Xanthan Gum, Parfum/Fragrance, Chlorphenesin, Cyamopsis Tetragonoloba (Guar) Gum, Sodium Hyaluronate, Hexylene Glycol, Glucose, Fructose, Sucrose, Urea, Dextrin, Alanine, Glutamic Acid, Hexyl Nicotinate, Citric Acid, Hexyl Cinnamal. Glow Tonic Aqua/Water/Eau, Glycolic Acid, Sodium Hydroxide, Butylene Glycol, Glycerin, Aloe Barbadensis Leaf Juice, Hamamelis Virginiana (Witch Hazel) Water, Aesculus Hippocastanum (Horse Chestnut) Seed Extract, Hexylene Glycol, Fructose, Glucose, Sucrose, Urea, Dextrin, Alanine, Glutamic Acid, Aspartic Acid, Hexyl Nicotinate, Panax Ginseng Root Extract, Ethylhexylglycerin, Disodium EDTA, Biotin, Panthenol, PPG-26-Buteth-26, PEG-40 Hydrogenated Castor Oil, Phenoxyethanol, Parfum/Fragrance, Caramel, Benzyl Benzoate, Citral, Citronellol, Coumarin, Geraniol, Hexyl Cinnamal, Hydroxycitronellal, Limonene, Linalool, CI 14700 (Red 4). Glow Mud Mask Aloe Barbadensis Leaf Juice, Kaolin, Maris Sal/Sea Salt/Sel Marin, Solum Diatomeae/Diatomaceous Earth/Terre de Diatomées, Bentonite, Glycerin, Glyceryl Stearate, Cetyl Alcohol, Simmondsia Chinensis (Jojoba) Seed Oil, Squalane, Humulus Lupulus (Hops) Extract, Arctium Lappa Root Extract, Rosmarinus Officinalis (Rosemary) Leaf Extract, Salvia Officinalis (Sage) Leaf Extract, Panax Ginseng Root Extract, Phenoxyethanol, Caprylyl Glycol, Ethylhexylglycerin, Hexylene Glycol, Sodium Hyaluronate, Polysorbate 20, Chlorphenesin, Hydroxypropyl Methylcellulose, Xanthan Gum, Parfum/Fragrance, Linalool, Citric Acid, CI 77499 (Iron Oxide).